Chronos is the Maptek Vulcan scheduling package. It includes block by block scheduling as well as an optional schedule optimizer. 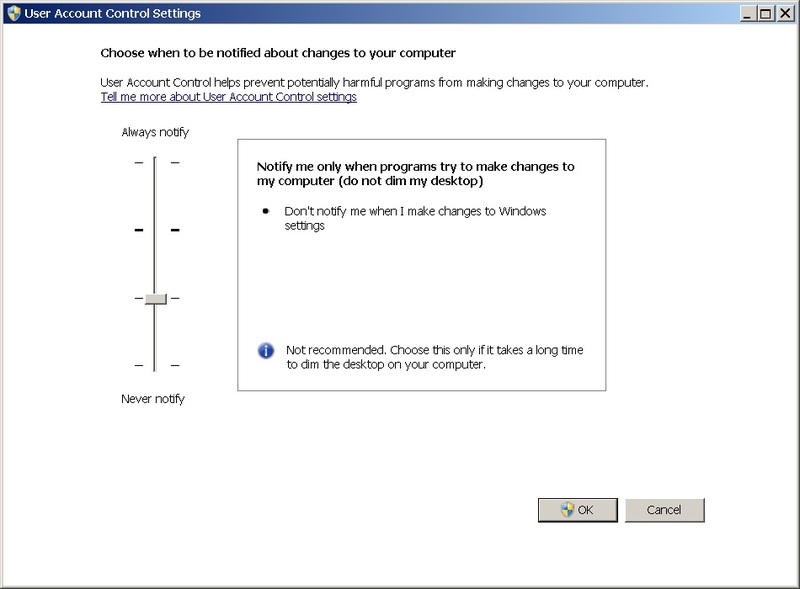 In Windows 7, new installations of Chronos require special settings in order to open scheduling files. I got a new computer today. I was pretty excited. Between the i7 processor, solid state hard drive and 16 GB of RAM I couldn’t wait to see what it did to my Chronos schedule. The initial answer was nothing. Chronos froze when attempting to open a new workbook. I couldn't believe it. It wouldn't open a new workbook, an old workbook or anything else. It just crashed Vulcan every time I tried to open Chronos. The problem turned out to be with the way Maptek Chronos interacts with the Microsoft User Account Control Settings. 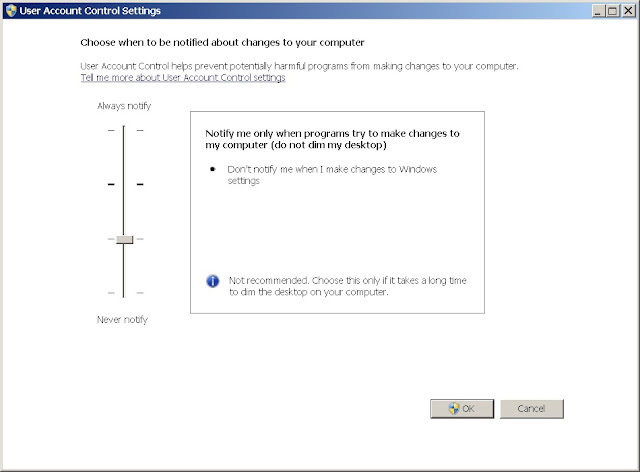 These are the settings that dim your computer screen and pop up a panel to warn you that changes are being made to your computer (you remember the commercials with Mac and PC don’t you? The one where PC had a secret service agent protecting him? “Mac has issued you a salutation, cancel or allow?” This is that functionality). When Windows attempts to dim the screen and give you a warning, it interrupts Chronos and crashes Vulcan. To avoid this problem you just need to turn the User Account Control Settings down a notch. Don’t turn them off (unless you really want to). Vulcan will work with just slightly fewer restrictions. Next time you start Chronos (you must restart Vulcan for changes to take effect) Vulcan should not crash. You can get this same result by right clicking on the Vulcan icon and selecting ‘Run as Administrator’ but you have to remember to do this every time you start Vulcan and want to open a Chronos schedule too and really, who wants to do that? Having to modify the operating system in order to run software is not a best practice for expensive software. I asked Maptek support to log this as an upgrade and was informed that it is part of the ‘Development Roadmap.’ They wouldn’t give any more details than that so I’m not sure how serious they are about it. Saying that an upgrade is on the ‘Development Roadmap’ sounds a lot like working to ‘Make the Software Better.’ By which I mean to say that it is a good goal, but without any actual targets it is unlikely that anything will actually get done. Next time you talk to Maptek support be sure to ask them about the ‘Development Roadmap’ and how the work on User Account Control Settings is coming.